Draft: 2006, Oakland Athletics, 2nd rd. following his senior year...Was 5-4 with a 2.31 ERA and 109 strikeouts in 66.2 innings as a senior... Selected by Oakland in second round of 2006 draft but was A's first pick as their first round choice went to Washington for signing of free agent Esteban Loaiza...Signed by A's scout Craig Weissmann... Involved in several community endeavors during big league career. Signed by Oakland as free agent during middle of spring (March 19) and ended up finishing second on Club with 20 starts, despite two stints on disabled list…Returned to organization that drafted him in second round of 2006...Was 7-4 with a 3.76 ERA and .227 opponents batting average in 21 games overall…Surrendered just eight home runs in 110.0 innings, an average of 0.65 per nine innings, lowest mark of career and fourth lowest in A.L. (min. 100-or-more IP). Struck out 100 and walked 41 for career-best strikeout-to-walk ratio of 2.44. Wins and games started were most since winning eight games in 25 starts with Arizona in 2013, while innings pitched (110.0) and strikeouts were most since 2014... Was 5-1 with a 1.84 ERA and .179 opponents batting average in 11 starts at home compared to 2-3 with a 6.41 ERA and .285 opponents average in 10 games on road. Did not allow a run in five of 11 starts in Oakland. His ERA and opponents average at home were second-lowest in A.L. among pitchers with at least 60 innings at home (Snell, TB 1.27 ERA and .172 opponents average)... Opponents batting average included a mark of .212 (44-for-208) against righthanded hitters compared to .243 (46-for-189) against lefthanders...Yielded a .330 batting average with runners in scoring position (.222 with RISP and two outs)... Logged four-game win streak (July 26-Aug. 18), his longest stretch since winning five straight from Aug. 17-Sept. 21, 2013 with ArizonacLogged 3.45 ERA and .221 opponents batting average during streak (5 GS)... Struck out a career-high 12 batters in just 6.0 innings May 5 vs. Baltimore, his first 10+ K effort since June 14, 2013 at San DiegocBecame third Afs pitcher since at least 1908 to strikeout 12-or-more batters in six innings or fewer...Tossed season-high 8.0 scoreless frames allowing just four hits while not walking a batter May 28 vs. TB... Had two D.L. stints - May 9 (retro to May 6) with right elbow impingement and reinstated May 16.Returned to D.L. June 14 (retro to June 11) with right achilles strain. Made one rehab start with Nashville and reinstated July 12... Was winning pitcher in 200th career start July 31, a 6-2 victory over Toronto. Combined on five-hit shutout in 6-0 win over Detroit Aug. 5cStruck out 10, his second game of 10-or-more strikeouts in 2018 and fourth of career. Tossed 7.0 scoreless innings and allowed just one hit in 7-1 win over Houston Aug. 18...Had a no- decision in 300th career appearance Aug. 29 at Houston..Made only relief appearance of 2018 in his final game Sept. 29 at Los Angeles (A.L.). Entered game to start second inning in relief of Liam Hendriks and allowed one unearned run in 4.0 innings for win. In his first full season with the Chicago Cubs, appeared in 50 games, all but one as a reliever, posting a career-best 2.74 ERA (20 ER, 65.2 IP) while limiting opposing hitters to a .201 (49-for-244) average. Placed on the disabled list on 7/15 (retroactive to 7/9) with patellar tendinitis in his right knee...made six rehab appearances with Triple-A Iowa beginning 7/18 and was activated 8/16. Posted a 2.19 ERA (6 ER, 24.2 IP) in 17 games in the season's second half. Made a spot start on 8/16 vs. MIL, tossing 5.0 scoreless innings and earning the win in the Cubs' 4-0 victory as he allowed just two hits and two walks. Pitched a season-high 4.2 innings of relief 8/20 at COL...allowed four hits and one run, earning the victory...was the only pitcher used in relief of starter Mike Montgomery (4.1 IP). Allowed just two earned runs in 19 games (21.0 IP) when pitching on zero or one day of rest. Posted a 2.05 ERA (7 ER, 30.2 IP) in 23 home games, compared to a 3.34 ERA (13 ER, 35.0 IP) in 27 road games...fared better in day games (2.12 ERA) than night games (3.41 ERA). Allowed one or fewer runs in 45 of his 50 outings, including 35 scoreless outings. Twice tossed 3.0-scoreless innings of relief: 5/8 vs. WAS and 7/1 at NYM. Posted a 1.62 ERA (3 ER, 16.2 IP) in 10 May outings after a 4.91 ERA (4 ER, 7./1 IP) in nine April contests...beginning 4/28, he recorded a 1.67 ERA (6 ER, 32.1 IP) in his next 23 games through 7/1. Led all Cubs relievers in innings pitched (41.0) and strikeouts (46) prior to the All-Star Break. He did not pitch in the postseason during the Cubs' World Series title run. 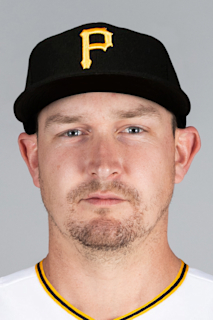 Trevor Cahill signed a minor league contract with the Cubs, August 18, and was selected to the major league roster, September 1 … went 1-0 with a 2.12 ERA (4 ER/17.0 IP) in 11 relief appearances for the Cubs … all told, went 1-3 with a 5.40 ERA (26 ER/43.1 IP) in 26 games (three starts) between the Braves and Cubs. Held the opponent scoreless in eight of his 11 outings with the Cubs, including four-scoreless outings of at least 2.0 innings. Limited opponents to a .143 average and a .226 OBP with Chicago. Went 1-1 with a 3.38 ERA (2 ER/5.1 IP) in six post-season relief appearances ... earned the win in NLDS Game 4 vs. the Cardinals. Tossed 3.1-scoreless innings, September 19 vs. St. Louis, picking up the win in the Cubs 5-4 triumph … he allowed just two hits, one walk and fanned three batters. Pitched 3.0-hitless frames, September 12 at Philadelphia, striking out three batters. Between Atlanta and Chicago, posted a 6.75 ERA (17 ER/22.2 IP) in 15 games at home and a 3.92 ERA (9 ER/20.2 IP) in 11 road outings. Posted no record and a 0.00 ERA (0 ER/7.2 IP) in five relief outings with Triple-A Iowa … struck out seven batters and walked three. Entered Spring Training with the Diamondbacks, but was traded to Atlanta, April 2 … went 0-3 with a 7.52 ERA (22 ER/26.1 IP) in 15 games (three starts) with the Braves before being designated for assignment, June 11. © Signed a minor league contract with the Dodgers, June 30, but was released, August 14. Went 1-3 with a 4.29 ERA (20 ER/42.0 IP) in 13 minor league outings (seven starts) with four clubs: the AZL Dodgers, Class A Rancho Cucamonga (Dodgers), Triple-A Oklahoma City (Dodgers) and Iowa. Struck out eight batters in 4.0-hitless innings with Rancho Cucamonga, July 12 vs. Inland Empire. In his third full season with Arizona, went 3-12 with a 5.61 ERA (69 ER in 110.2 IP) in 32 games (17 starts)...One of three pitchers with at least 15 starts and 15 relief appearances (also David Phelps and Brad Hand)...Was 2-10 with a 6.31 ERA (61 ER in 87.0 IP IP) as a starter and 1-2 with a 3.04 ERA (8 ER in 23.2 IP) in relief...Averaged a career-best 0.73 home runs per 9.0 IP (0.80 in 2013) and 8.54 strikeouts per 9.0 IP (6.26 in 2013)...Allowed one homer over 15 games (seven starts) from May 20- Aug. 20, a span of 220 batters faced…did not yield a homer in a career-high 6 straight starts from July 23-Aug. 20...Started on March 23 vs. Dodgers in Sydney, Australia (L, 5 ER in 4.0 IP)...On April 13 vs. Mets, became the second Arizona starter in club history to strike out at least eight batters in 4.0 innings or less (also Randy Johnson on Sept. 1, 2008 vs. Cardinals; 8 SO in 3.2 IP)...Earned his first career save on April 18 @ Dodgers...Designated for assignment on June 9…was 2-3 with a 4.45 ERA (15 ER in 30.1 IP) in 7 starts with Single-A Visalia and Triple-A Reno...Contract was selected from Reno on July 14 and returned to the rotation on July 18 vs. Cubs (ND, 3 ER in 5.0 IP)...Did not walk a batter in back-to-back starts on July 23 vs. Tigers and July 29 @ Reds for the first time in his career...Reached the 1,000.0-inning mark on Aug. 9 vs. Rockies...Did not allow a hit in the first 5.1 innings on Sept. 7 @ Dodgers, the third-longest hitless beginning to a start in his career. Was 8-10 with a 3.99 ERA (65 ER in 146.2 IP) in 26 games (25 starts) in his second season with Arizona... Held opponents to 4 earned runs or less in 29 straight starts from June 27, 2012-May 27, 2013, the second-longest streak in club history behind Randy Johnson's 30 games (April 13-Sept. 22, 2001)... Limited opponents to a .214 (31-for-145) average with runners in scoring position, seventh-lowest in the NL... 71.0 ground ball percentage was second-highest in his career and would have ranked second in the NL if qualified... Was 5-0 with a 2.70 ERA (15 ER in 50.0 IP) in the second half…joined Mariano Rivera as the only 2 pitchers to go 5-0 or better after the All-Star Break... Tied for the Major League lead with 17 wild pitches (also Tampa Bay's Matt Moore)... Triple on May 6 @ Dodgers was his first career extra-base hit and 11th triple by a D-backs pitcher all-time... 10 strikeouts on June 14 @ Padres matched his career high (also June 26, 2010 vs. Pirates)... On the 15-day disabled list with a right hip contusion from July 1-Aug. 17... Set a franchise record with 3 wild pitches in an inning on Aug. 22 @ Reds... Earned the victory in his first relief appearance in the 18-inning affair on Aug. 24 @ Phillies, tossing 4.0 scoreless innings with 2 hits allowed…according to the Elias Sports Bureau, he was the fi rst pitcher to throw at least 4.0 innings within 2 days of a game in which he lasted at least 7.0 innings since the Reds' Mario Soto on July 18, 1980 vs. Mets... 150th career start and 600th career strikeout on Sept. 10 @ Dodgers... Hit .082 (4-for-49) with 1 double, 1 triple and 5 RBI…tied his career high with 2 RBI on May 6 @ Dodgers and Aug. 17 @ Pirates. Recorded at least 10 wins, 30 starts and 200.0 innings forthe second straight season, going 13-12 with a 3.78 ERA (84 ER in 200.0 IP) in 32 starts with the D-backs...Established a career high with 156 strikeouts...Is only the second pitcher since 1990 to record at least10 wins and 30 starts in his first 4 Major League seasons(also CC Sabathia from 2001-04) and the fifth since 1930(also Sabathia, Teddy Higuera from 1985-88, Tom Seaver from 1967-70 and Larry Jensen from 1947-50)...Since 2000, his 53 wins before turning 25 are the most by aright-handed pitcher...Ranked among NL leaders in ground ball percentage(2nd, 71.8), ground balls (2nd, 351) and GIDP (T-2nd, 23)...also finished seventh in the NL with a 2.91 roadERA (33 ER in 102.0 IP)...Made his 100th career start on April 25 vs. Phillies...Tossed a 6-hitshutout on June 3@Padres, his second career shutout and complete game...induced 4 GIDP, tied for the third-most by a D-backs' starting pitcher in club history (also Brandon Webb and Shawn Estes)...Posted a season-long 15.0-inning scoreless streak fromMay 28-June 9 and a 20.0-inning road scoreless streak from May 28-June 15...Recorded his first 2-hit game on July 15 @ Cubs...Threw 6.0 hitless innings before surrendering a leadoffsingle to Marco Scutaro in the seventh inning on September 5 @ Giants, his second-longest hitless stretch (6.1 on April 12, 2009 vs. Mariners)...retired first 16 battersfaced, his longest streak to start a game and tied for the longest of career (also 16 on July 17, 2010 @ Royals)...Tossed his third complete game on Sept. 29 vs.Cubs witha career-high 126 pitches...notched his first multi-RBIgame. Established career highs in starts, strikeouts (147) and innings pitched in his third season with the A's, going 12-14 with a 4.16 ERA (96 ER in 207.2 IP) in 34 starts...Became the second pitcher in Oakland history (Tim Hudson, 1999-2001) to win at least 10 games in each of thefirst three seasons of his career, and the sixth in franchise history (also Jim Nash, 1966-68; Lefty Grove, 1925-27; Chief Bender, 1903-05 and Eddie Plank, 1901-03)...Led the American League in ground ball-to-fly ball ratio (2.37) and percentage of pitches taken (60.0)...also ranked among AL leaders in starts (T1st), wild pitches(2nd, 15) and walks (3rd, 82)...Opponents stole a career-high 28 bases, which tied for fourth-most in the AL...Was 6-0 with a 1.72 ERA (10 ER in 52.1 IP) and a .209 average (41-for-196) in his first 8 starts, compared to 6-14 with a 4.98 ERA (86 ER in 155.1 IP) and a .288 mark (173-for-601) in his final 26... the 6 wins were tied for theMajor-League lead through May 14, but his 14 losses tied for the most in the Majors after May 15...Made his first career Opening Day start on April 1 vs. Mariners, marking the youngest (23 years, 31 days) A's pitcher to do so since Vida Blue in 1971 (21 years, 251 days) and seventh-youngest overall...Improved to 6-0 on May 9 @ Rangers, becoming the first A's pitcher to start the season 6-0 since Jim Corsi went 6-0 in 1996 and first A's starting pitcher to begin the season6-0 since Dave Stewart in 1990...according to the Elias Sports Bureau, he was the first A's pitcher to go 6-0 or better with a sub-2.00 ERA in his first 8 starts of a season since Sam Gray went 8-0 with a 1.43 ERA in 1925...Suffered his first loss on May 15 vs. White Sox (2 ER in 7.0 IP), ending his career-high tying 7-game winning streak dating back to 2010...Walked a career-high 7 batters without a strikeout on June 14 vs. Royals, the second pitcher in Oakland history towalk 7 or more without striking out a batter (also Mike Norris on April 16, 1979 vs. Mariners)...was the first pitcher in Oakland history to allow 10 runs or more in 2.0 innings or fewer pitched on July 22 @ Yankees...Fell 4 games under .500 (9-13) after going 0-4 with a 7.15 ERA (27 ER in 34.0 IP) in August...according to Elias, he is just the fourth pitcher since 1900 start a season 6-0or better and then fall at least 4 games under .500 later that season: White Sox' Joe Benz (6-0/12-17), Red Sox's Jim Lonborg(6-0/7-11) and Mariners' Rick Honeycutt (6-0/10-17)...Agreed to a five-year contract on April 11. Began the season on the disabled list and was optioned to Sacramento before returning to Oakland April 30 to lead the A's with 18 wins...posted an 18-8 record in 30 starts with a team-leading 2.97 ERA...ranked third in the American League in opponents batting average (.220), fourth in ERAand opponents on-base percentage (.287), tied for fourth in wins, tied forfifth in winning percentage (.692) and sixth in opponents slugging (.332)...his 18 wins were the most by an Athletic over the last eight years and tiedfor third most in Athletics history by a pitcher under the age of 23...the lastAL pitcher under the age of 23 with at least 18 wins was Bret Saberhagen,who won 20 games for Kansas City in 1985 at the age of 21...the lastmajor leaguer was Mark Prior, who won 18 for the Cubs in 2003...is justthe second pitcher in Oakland history to win at least 10 games in each ofthe first two seasons of his career (Tim Hudson, 1999-2000)...is the eighth in franchise history (JimNash, Bob Hooper, Lefty Grove, Weldon Henley, Chief Bender and Eddie Plank)...his 2.97 ERA wasthe lowest by an AL pitcher younger than 23 since 1990 (Kevin Appier, KC 2.76) and was fifth lowestin Athletics history since the earned run became an official stat in 1913...all of his wins came after May1 and he had the most wins in Oakland history by a pitcher who did not win a game in April...the lastAthletics pitcher to win as many as 18 games without winning one in April was Bobby Shantz, whohad 18 for the Philadelphia A's in 1951...matched Jon Lester (BOS) and CC Sabathia (NYY) for mostwins in the majors beginning May 1...for the season, also tied for second in the AL in grounded intodouble plays (27), tied for third in shutouts (1) and tied for sixth in pickoffs (5)...his opponents battingaverage included a .198 mark against right-handed hitters and .237 against left-handers...the averageagainst righties was the lowest in the AL and third lowest in the majors...the opposition hit .209 witha .252 on-base percentage when leading off an inning...the on-base percentage ranked sixth in the ALand the batting average was seventh...allowed a .188 batting average the first time through the lineup,.221 the second time through and .253 after that...the mark the first time through was ninth lowest in theAL...went 1-2 with a 4.37 ERA over his first four starts, 13-3 with a 2.10 ERA over a 19-start stretchfrom May 21 to Aug. 25 and 4-3 with a 5.05 ERA over his last seven starts...was 11-3 with a 2.18 ERAin 15 starts in Oakland and 7-5 with a 3.86 ERA in 15 starts on the road...tied for second in the AL inhome wins and ranked fifth in ERA...is now 18-10 with a 3.26 ERA (76 er in 209.2 ip) in 33 careerstarts in Oakland compared to 10-11 with a 4.40 ERA (81 er in 165.2 ip) in 29 starts on the road...went7-2 with a 1.78 ERA in 10 starts against AL West competition and was 11-6 with a 3.57 ERA in 20starts against all other teams...is 11-6 with a 2.39 ERA (35 er in 131.2 ip) in 21 career starts against the West, 17-15 with a 4.51 ERA (122 er in 243.2 ip) against everyone else...went 3-0 with a 2.42 ERA infour interleague starts, tying for second in the majors in wins (Buehrle, CWS 4)...compiled a 1.50 ERAand .182 opponents batting average in the first inning...was 6-2 with a 2.20 ERA in nine starts duringthe day, 12-6 with a 3.29 ERA in 21 starts at night...had the third lowest day ERA in the AL...yieldedthree grand slams, which tied for the most in the majors (Santana, NYM)...it also tied the Athletics'franchise record set by Ed Rakow in 1961...led AL pitchers with 54 assists and tied for second with 61total chances...the assists tied for third most in Oakland history...the A's were 21-9 (.700) in his startingassignments and are 37-25 (.597) in his career...tossed at least seven innings in 15 of his 30 starts,allowed one run or fewer 15 times and walked two batters or fewer 20 times...the A's bullpen has neverblown a save in his 62 career starts. OAKLAND: Began the season on the 15-day disabled list with a stressreaction in his left scapula...made one rehab start before he was reinstatedfrom the DL and optioned to Sacramento April 20...was 1-0 with a 1.04ERA and .226 opponents batting average in two starts with the River Catsbefore he was recalled by Oakland April 30...allowed a career-high tyingeight runs on seven hits in a 10-2 loss at Toronto that day...then allowedsix hits or fewer while pitching five innings or more in each of his next20 starts from May 5 to Aug. 14...that matched the longest such streak inmodern Major League history (since 1900)...Nolan Ryan of the CaliforniaAngels also had a 20-game streak from July 27, 1972 to April 18, 1973...was 4-1 with a 1.96 ERA and .211 opponents batting average in six startsin May...the ERA was the lowest single month mark of his career and it was his first four-win month...put together a career-high seven-game winning streak that spanned nine starts from May 21 to July 1...posted a 2.12 ERA and allowed a .194 opponents batting average during the streak...had his first career10-strikeout game June 26 against Pittsburgh when he combined with Breslow and Bailey on a two-hitshutout in the A's 5-0 win...was named to his first American League All-Star team but was ineligibleto pitch because he started on the Sunday before the game...his age of 22 years, 134 days on the dateof the game made him the youngest Athletic to be named to an All-Star team since Ben Grieve in 1998(22 years, 64 days)...is the second youngest Oakland pitcher to Vida Blue, who was 21 years and 350days in 1971...had his seven-game winning streak snapped July 6 and went 1-2 with a 4.39 ERA overa four-start stretch through July 23...then allowed just two hits in 8.0 shutout innings July 28 at Texasfollowed by his first career complete game Aug. 2 against Kansas City, a three-hit shutout...at the age of22 years, 154 days, he became the third youngest A's pitcher to toss a shutout over the last 32 years...theothers are Brett Anderson last year (21 years, 155 days) and Barry Zito in 2000 (22 years, 120 days)...isjust the fifth pitcher in Athletics franchise history with back-to-back starts of eight innings or more, threehits or fewer and no runs, the first since Bobby Witt (June 23 and 28, 1994)...the other three are RubeWaddell (1907), Jack Coombs (1910) and Eddie Plank (1913)...allowed two unearned runs in the sixthinning Aug. 8 against Texas, ending his scoreless streak at a career-high 23.0 innings...yielded an earnedrun in the third inning Aug. 14 at Minnesota, snapping a streak of 28.0 consecutive innings without anearned run...went 5-1 with a 0.77 ERA over a six-start stretch from July 28 to Aug. 25...then allowed acareer-high tying eight runs in a season-low 4.0 innings in an 11-5 loss at New York Aug. 30...did notallow a run in back-to-back wins Sept. 4 against Los Angeles (6.0 ip) and Sept. 10 against Boston (7.0ip) but lost two of his next three starts while posting a 7.94 ERA, including Sept. 26 against Texas whenhe yielded a career-high 12 hits in 4.0 innings...finished the season by tossing 7.0 shutout innings atSeattle Oct. 1 for his 18th win. Was one of two 21-year olds to spend theseason in the A's starting rotation and led theOakland pitching staff in starts (32), inningspitched (178.2) and losses (13)...was 10-13with a 4.63 ERA...led Major League rookiesin games started...ranked second amongAmerican League Rookies in innings pitched,tied for seventh in wins and ninth in strikeouts(90)...the games started fell one short of theOakland rookie record of 33 set by Joe Blantonin 2005 and he is one of eight rookie 10-gamewinners in Oakland history...set an Oaklandrookie record by allowing 27 home runs, breaking the previous mark of 24 by John Wasdin in 1996...it tied the franchise record set by Dan Pfister in 1962...his 13 losses were fourth most by an Oaklandrookie...is one of four 21-year olds in Oakland history to win 10 or more games and his 32 starts werefourth most in Athletics history by a pitcher under the age of 22...fellow 21-year old Brett Anderson had11 wins in 30 starts, making the A's the 13th team since 1900 to have two pitchers under the age of 22win 10 or more games (last: Kansas City, 1984 with Mark Gubicza and Bret Saberhagen) and the fourthwith 30 or more starts (last: Chicago-AL, 1980)...tied for second among all AL pitchers in losses, tiedfor sixth in home runs, tied for seventh in walks (72) and tied for eighth in runs (99)...his 4.63 ERA wasthird highest among the 30 AL qualifiers...had the lowest strikeout to walk ratio in the majors (1.25) andthat was the lowest mark by an A's pitcher since Todd Van Poppel in 1994 (0.93)...had the third feweststrikeouts per nine innings in the AL (4.53)...allowed 78 extra base hits, which was fourth most in theAL, and his .471 opponents slugging percentage was second highest in the league...received run supportof two runs or less in 17 of his 32 starts and was 1-9 in those starts...however, had five games with runsupport of nine or more and his season run support of 5.74 was eighth highest in the AL...was a streakypitcher in 2009 as he went 2-3 with a 5.01 ERA and .289 opponents batting average over his first eightstarts through May 17, 3-2 with a 2.44 ERA and .218 average over next seven starts through June 22, 1-7with a 7.55 ERA and .328 average over a nine-start stretch from June 27 to Aug. 11 and 4-1 with a 3.38ERA and .234 average over his final eight starts...allowed a .270 opponents batting average, including.252 (82 for 326) against right-handed hitters and .286 (103 for 360) against left-handers...allowed 21of his 27 home runs to lefties, which tied for the most in the AL (Guthrie, BAL) and were the most by anA's pitcher since Catfish Hunter allowed an Oakland record 26 in 1973...however, 20 were solo shots...yielded a .558 slugging percentage to lefties, compared to .374 against righties...20 of his home runscame at home, which led the AL and set a Coliseum record, breaking the mark of 19 by Hunter in 1973...allowed 27 home runs in 178.2 innings (1.36 per nineinnings) after allowing just eight home runs in 238.2 careerminor league innings (0.30 per nine innings)...yieldeda .218 average with runners in scoring position, which waseighth lowest in the AL...opponents were 13 for 75 (.173)with RISP and two outs and 1 for 9 (.111) with the basesloaded...held the opponents number three hitters to a .200batting average, which tied for fifth lowest in the AL...was4-4 with a 3.00 ERA in 11 starts against AL West teams and6-9 with a 5.59 ERA against everyone else...posted threeof his 10 wins against Texas...compiled a 2.53 ERA and a.207 opponents batting average in the first inning and a 5.09ERA and a .282 average from the second inning on...tied for fourth among AL pitchers in assists (29)...the A's were 16-16 (.500) in his starting assignments...tossed six or more innings in 16 of his 32 starts,allowed two runs or fewer 16 times and walked two batters or fewer 22 times...was ranked number 11on Baseball America's Top 100 Prospects lists entering the season. Was named the A's Organizational Pitcher of the Year for the second consecutive season afterleading the A's farm system with a 2.61 ERA...also ranked second in strikeouts (136) and tied for second in wins (11)...was a combined 11-5 with a 2.61 ERA in 21 games, 19 starts, with Single-A Stocktonand Double-A Midland...pitched for the United States team in the All-Star Futures Game at YankeeStadium July 13 (1.0 ip, 1 h, 2 so) and for Team USA in the Summer Olympics in Beijing, China...hadno decisions and a 2.25 ERA (8.0 ip, 6 h, 2 r, 2 er, 5 bb, 5 so) in two starts during the Olympics....washonored by Baseball America as a second team Minor League All-Star, the number one prospect in theCalifornia League and the number two prospect in the A's organization following the season...was alsotabbed as having the Best Curveball in the magazine's Best Tools survey for A's prospects...allowed a.179 opponents batting average, which included a .169 (33 for 195) mark against left-handed hitters and.187 (43 for 230) against right-handers...opponents hit .135 with the bases empty and .243 with runnerson...including .232 with runners in scoring position...allowed a .179 opponents batting average as a starter, which was second lowest among starting pitchers in all full season minor leagues...yielded justfive home runs in 124.1 innings, an average of one per 24.9 innings...his teams were 13-6 (.684) in hisstarting assignments...allowed two runs or fewer in 10 of his 19 starts...began the season at Stocktonwhere he compiled a 5-4 record and a 2.78 ERA in 14 games, 13 starts...allowed a .174 opponents battingaverage...went 5-0 with a 1.81 ERA over his first eight starts and 0-4 with a 4.06 ERA over his finalsix games, five starts...was 3-1 with a 0.89 ERA in eight games, seven starts, on the road...won eachof his first three starts and allowed just one run in 18.0 innings (0.50 ERA)...struck out a season high12 in 7.0 innings and allowed just one unearned run in a no decision April 27 at Rancho Cucamonga...compiled a 2.03 ERA over four games from May 24 to June 9 but was 0-2 with two no decisions...hisone relief appearance came in relief of a rehabbing Andrew Brown June 4 at Bakersfield and he matchedhis season high with 12 strikeouts in 6.0 innings...was named to the California League All-Star Teambut did not pitch in the game as he was promoted to Midland June 16....went 6-1 with a 2.19 ERA inseven games, six starts, with the RockHounds...won each of his first three starts at Double-A (1.89ERA), including his third start July 4 against Arkansas when he tossed 8.0 shutout innings and struckout 10 while allowing one walk and two hits...was named Texas League Pitcher of the Week, June 30to July 6, for his effort against the Travelers...made two starts for Team USA in the Olympics...his firststart was a no decision in a 5-4, 11 inning loss to Cuba Aug. 15 (5.0 ip, 6 h, 2 r, 2 er, 4 bb, 3 so)...alsohad a no decision in a 4-2, 11 inning win over Japan Aug. 20 (3.0 ip, 1 bb, 2 so). Was named the A's Organizational Pitcher of the Year after posting an 11-4 record and a 2.73ERA in 20 games, 19 starts, at Single-A Kane County...ranked second in the A's farm system in ERA, tied for second in wins and was sixth in strikeouts (117)...tied for the Cougars team lead in wins,ranked second in strikeouts and was third in games started...was named to the Baseball America LowClass-A All-Star Team...allowed a .220 opponents batting average, which broke down to .193 againstright-handed hitters and .266 against left-handers...yielded just three home runs in 105.1 innings, anaverage of one per 35.1 innings...was 4-4 with a 4.71 ERA and .281 opponents batting average overhis first 11 games, 10 starts...then went 7-0 with a 0.97 ERA and .158 opponents batting average overhis final nine starts...allowed one run or fewer in each of those nine starts...was 5-0 with a 1.49 ERAin 10 games, nine starts, at home...the Cougars were 13-6 (.684) in his starting assignments...allowedtwo runs or fewer in 14 of his 19 starts and walked two batters or fewer 12 times...began the season inextended spring training and was sent to Kane County May 13...recorded his first professional win May29 at Beloit (6.0 ip, 4 h, 2 r, 1 er, 1 bb, 7 so) to start a three-game winning streak over a four-start stretchfrom May 29 to June 16...capped the streak by tossing 7.0 shutout innings June 16 against Burlington...had a 25.1-inning scoreless streak from Aug. 3 to 20 and was 5-0 with a 0.74 ERA and .160 opponentsbatting average in six starts in the month of August...struck out a season high 10 in 5.2 innings Aug. 20at Beloit...was rated as the A's sixth best prospect by Baseball America following the season. Made his professional debut with the A's affiliate in the Arizona Rookie League and had nodecisions and a 3.00 ERA in four starts...allowed a .071 batting average...right-handed hitters were 0 for 12 and left-handers were 2 for 16 (.125)...his first outing came Aug. 13 at the Cubs (1.0 ip, 2 r, 1 er,2 bb, 1 so)...tossed 2.0 innings in each of his next two starts before striking out seven and retiring all 12batters that he faced in 4.0 innings Aug. 30 against the Cubs...was rated as the A's 10th best prospect byBaseball America following the season. 20 de diciembre de 2018 Los Angeles Angels agente libre firmado RHP Trevor Cahill. 29 de octubre de 2018 RHP Trevor Cahill eligio agente libre. 12 de julio de 2018 Oakland Athletics activan a RHP Trevor Cahill de la 10-d&iacute;a lista de deshabilitado. 7 de julio de 2018 Oakland Athletics envian a RHP Trevor Cahill una asignaci&oacute;n de rehabilitaci&oacute;n a Nashville Sounds. 14 de junio de 2018 Oakland Athletics ponen a RHP Trevor Cahill on the 10-d&iacute;a lista de deshabilitado retroactivo al June 11, 2018. Strained right achilles. 16 de mayo de 2018 Oakland Athletics activan a RHP Trevor Cahill de la 10-d&iacute;a lista de deshabilitado. 9 de mayo de 2018 Oakland Athletics ponen a RHP Trevor Cahill on the 10-d&iacute;a lista de deshabilitado retroactivo al May 6, 2018. Right elbow impingement. 17 de abril de 2018 Oakland Athletics llamado RHP Trevor Cahill de Nashville Sounds. 28 de marzo de 2018 Oakland Athletics opcionado RHP Trevor Cahill para Nashville Sounds. 19 de marzo de 2018 Oakland Athletics agente libre firmado Trevor Cahill. 2 de noviembre de 2017 RHP Trevor Cahill eligio agente libre. 1 de septiembre de 2017 Kansas City Royals activan a RHP Trevor Cahill de la 10-d&iacute;a lista de deshabilitado. 10 de agosto de 2017 Kansas City Royals ponen a RHP Trevor Cahill on the 10-d&iacute;a lista de deshabilitado. Right shoulder impingement. 26 de julio de 2017 Kansas City Royals activan a RHP Trevor Cahill. 24 de julio de 2017 San Diego Padres cambian a Brandon Maurer, Ryan Buchter and RHP Trevor Cahill a Kansas City Royals for cash, 2B Esteury Ruiz, LHP Matt Strahm and Travis Wood. 4 de julio de 2017 San Diego Padres activan a RHP Trevor Cahill de la 10-d&iacute;a lista de deshabilitado. 27 de junio de 2017 San Diego Padres envian a RHP Trevor Cahill una asignaci&oacute;n de rehabilitaci&oacute;n a El Paso Chihuahuas. 22 de junio de 2017 San Diego Padres envian a RHP Trevor Cahill una asignaci&oacute;n de rehabilitaci&oacute;n a Lake Elsinore Storm. 17 de mayo de 2017 San Diego Padres ponen a RHP Trevor Cahill on the 10-d&iacute;a lista de deshabilitado retroactivo al May 14, 2017. Strained right shoulder. 16 de abril de 2017 San Diego Padres activan a RHP Trevor Cahill de la 10-d&iacute;a lista de deshabilitado. 9 de abril de 2017 San Diego Padres ponen a RHP Trevor Cahill on the 10-d&iacute;a lista de deshabilitado retroactivo al April 6, 2017. Strained lower back. 20 de enero de 2017 San Diego Padres agente libre firmado RHP Trevor Cahill. 3 de noviembre de 2016 RHP Trevor Cahill eligio agente libre. 3 de noviembre de 2016 Chicago Cubs activan a RHP Trevor Cahill. 7 de octubre de 2016 Chicago Cubs reasignado RHP Trevor Cahill a las ligas menores. 16 de agosto de 2016 Chicago Cubs activan a RHP Trevor Cahill de la 15-d&iacute;a lista de deshabilitado. 18 de julio de 2016 Chicago Cubs envian a RHP Trevor Cahill una asignaci&oacute;n de rehabilitaci&oacute;n a Iowa Cubs. 15 de julio de 2016 Chicago Cubs ponen a RHP Trevor Cahill on the 15-d&iacute;a lista de deshabilitado retroactivo al July 9, 2016. Right knee patellar tendinitis. 14 de diciembre de 2015 Chicago Cubs agente libre firmado RHP Trevor Cahill. 2 de noviembre de 2015 RHP Trevor Cahill eligio agente libre. 1 de septiembre de 2015 Chicago Cubs seleccionado el contrato de RHP Trevor Cahill de Iowa Cubs. 18 de agosto de 2015 Chicago Cubs agente libre firmado RHP Trevor Cahill con un contrato de la ligas menores. 18 de agosto de 2015 RHP Trevor Cahill asignado a Iowa Cubs. 14 de agosto de 2015 Oklahoma City Dodgers liberan a RHP Trevor Cahill. 17 de julio de 2015 Oklahoma City Dodgers activan a RHP Trevor Cahill de la 7-d&iacute;a lista de deshabilitado. 12 de julio de 2015 Oklahoma City Dodgers envian a RHP Trevor Cahill una asignaci&oacute;n de rehabilitaci&oacute;n a Rancho Cucamonga Quakes. 7 de julio de 2015 Oklahoma City Dodgers envian a RHP Trevor Cahill una asignaci&oacute;n de rehabilitaci&oacute;n a AZL Dodgers. 2 de julio de 2015 RHP Trevor Cahill asignado a Oklahoma City Dodgers. 30 de junio de 2015 Los Angeles Dodgers agente libre firmado RHP Trevor Cahill con un contrato de la ligas menores. 19 de junio de 2015 Atlanta Braves liberan a RHP Trevor Cahill. 11 de junio de 2015 Atlanta Braves designado RHP Trevor Cahill para la asignaci&oacute;n.
3 de abril de 2015 Arizona Diamondbacks cambian a cash and RHP Trevor Cahill a Atlanta Braves for LF Josh Elander. 14 de julio de 2014 Arizona Diamondbacks llamado RHP Trevor Cahill de Reno Aces. 1 de julio de 2014 RHP Trevor Cahill asignado a Reno Aces de Visalia Rawhide. 28 de junio de 2014 RHP Trevor Cahill asignado a Visalia Rawhide de Reno Aces. 17 de junio de 2014 RHP Trevor Cahill asignado a Reno Aces de Visalia Rawhide. 12 de junio de 2014 Arizona Diamondbacks opcionado RHP Trevor Cahill para Visalia Rawhide. 9 de junio de 2014 Arizona Diamondbacks designado Trevor Cahill para la asignaci&oacute;n.
17 de agosto de 2013 Arizona Diamondbacks activan a RHP Trevor Cahill de la 15-d&iacute;a lista de deshabilitado. 30 de julio de 2013 Arizona Diamondbacks envian a RHP Trevor Cahill una asignaci&oacute;n de rehabilitaci&oacute;n de Reno Aces. 25 de julio de 2013 Arizona Diamondbacks envian a RHP Trevor Cahill una asignaci&oacute;n de rehabilitaci&oacute;n de AZL D-backs. 1 de julio de 2013 Arizona Diamondbacks ponen a RHP Trevor Cahill en la 15-d&iacute;a lista de deshabilitado. Right hip contusion. 9 de diciembre de 2011 Oakland Athletics cambian a cash, LHP Craig Breslow and RHP Trevor Cahill a Arizona Diamondbacks for RF Collin Cowgill, RHP Jarrod Parker and RHP Ryan Cook. 30 de abril de 2010 Oakland Athletics llamado Trevor Cahill de Sacramento River Cats. 20 de abril de 2010 Oakland Athletics opcionado Trevor Cahill para Sacramento River Cats. 19 de abril de 2010 Oakland Athletics envian a RHP Trevor Cahill una asignaci&oacute;n de rehabilitaci&oacute;n a Sacramento River Cats. 4 de abril de 2010 Trevor Cahill estado en la lista cambian a por Oakland Athletics.